Does any one know the story behind the irregular pulsing flame in front of the shuttles’ vertical stabilizer? 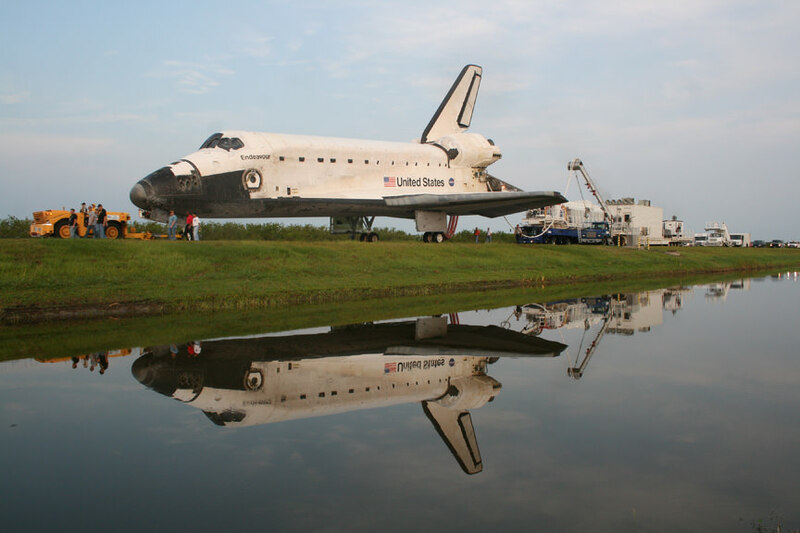 The whole shuttle landing is a fake! All done with Photoshop and computer animation. What is NASA hiding? This: The Endeavour has been hijacked. It took place at the ISS where two disgruntled ex-NASA employees had stowed aboard the craft and waited for the right moment to commandeer it (to make a point about President Obama’s space policies). The pulsing flame and smoke is Endeavour’s auxiliary power units venting.